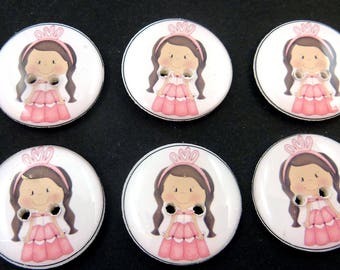 6 Dark Pink and Blue Butterfly Buttons. Handmade Buttons for sewing. 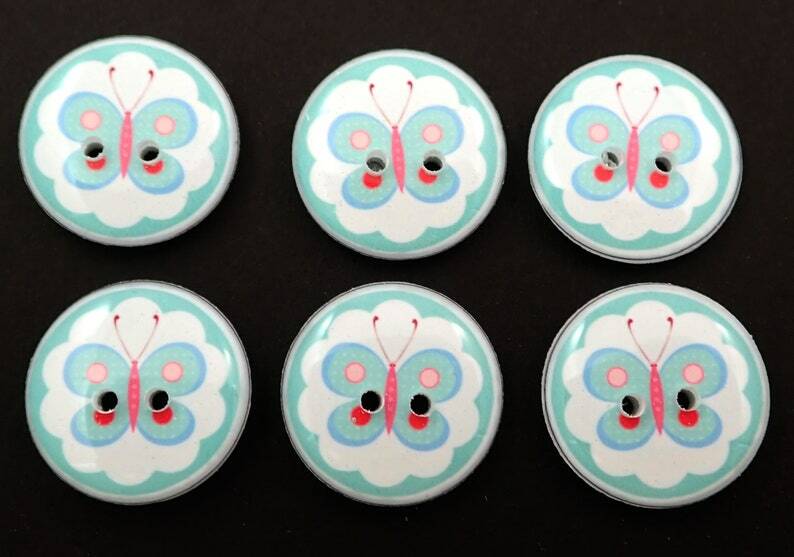 6 dark pink and blue decorative butterfly buttons. The butterfly is a soft blue with touches of what I would call a dark pink. The outer edge is the same pretty light blue as the butterfly. 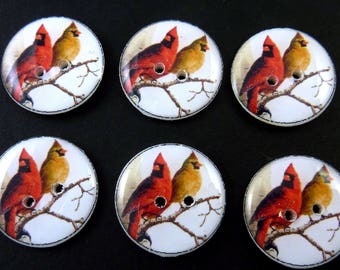 These handmade buttons are made individually by me and are great for all your needle craft projects. They are lightweight so will work really well on knit or crocheted items since they won't sag the way heavier buttons might. 3/4" = 20 mm Other sizes available upon request. Yes they are washable and dryer safe. No special handling required. 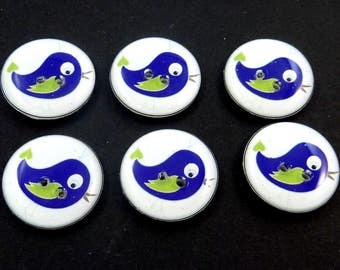 Yes you may use my buttons on items in your Etsy shop or elsewhere. I love to see my buttons incorporated into your projects. Please note my buttons are small and like any small item they are a choking hazard. Please do not use them on items for young children under three or children who might like to chew on them. Please take care. 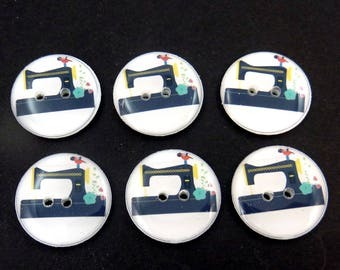 6 Vintage Sewing Machine Handmade Sewing Buttons. 3/4" or 20 mm. 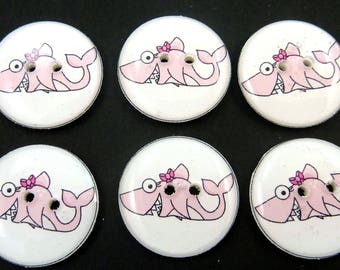 6 Pink Shark Buttons for Sewing. 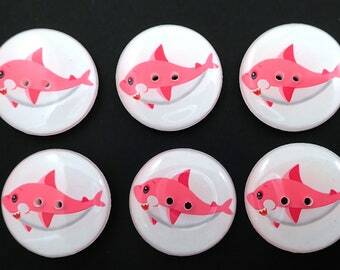 6 Pink Shark Buttons. 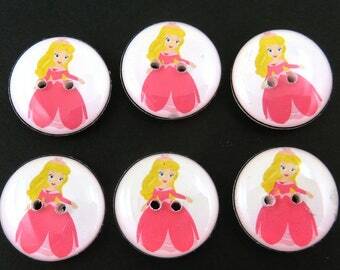 Handmade Decorative Novelty Buttons for sewing, Embellishments and Crafts. 3/4" or 20 mm. 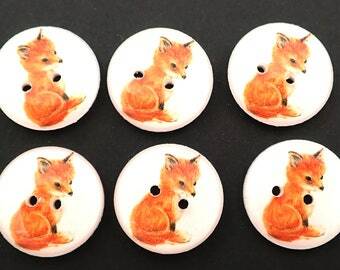 6 Handmade Red fox Buttons. Sewing Buttons. Handmade by Me. Washer and Dryer Safe Woodland Animal. 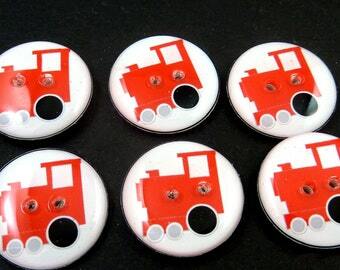 6 Red Train Buttons. Sewing Buttons Handmade by Me. 3/4" or 20 mm Round. Washer and Dryer Safe. 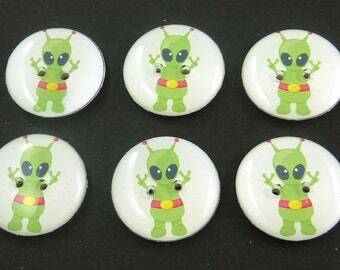 6 Handmade Green Alien Buttons. Sewing Buttons. Handmade by Me Novelty Buttons Washer and Dryer Safe. 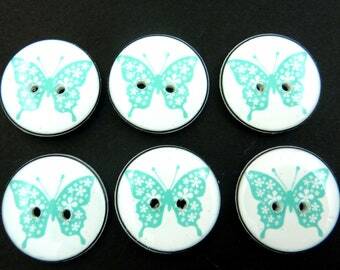 6 Butterfly Buttons. 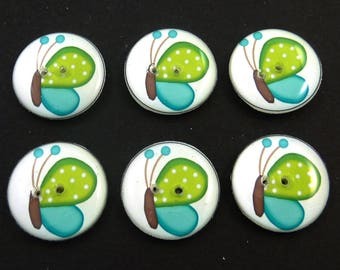 Green and Turquoise blue Butterfly Handmade Buttons for sewing. 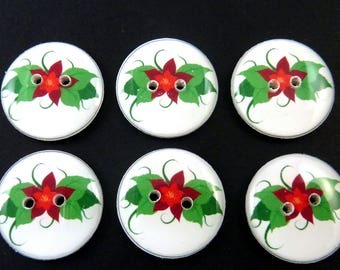 Decorative Craft Novelty Sewing buttons. 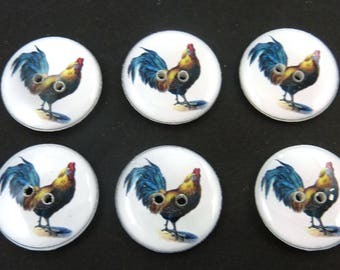 6 Rooster Buttons. 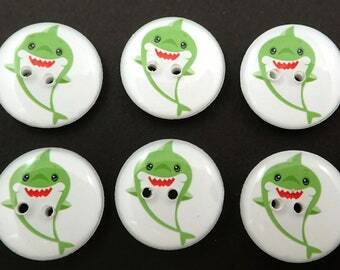 Handmade buttons. 3/4" or 20 mm.